I am one of those people who is totally fine with having leftover Halloween candy. We always buy the good stuff so it’s really easy for me to be excited when we don’t run out on Halloween night! 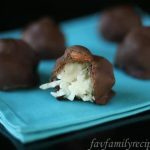 But for those who would rather not have leftover candy or want to do something different with it, I have a really fun recipe for you! 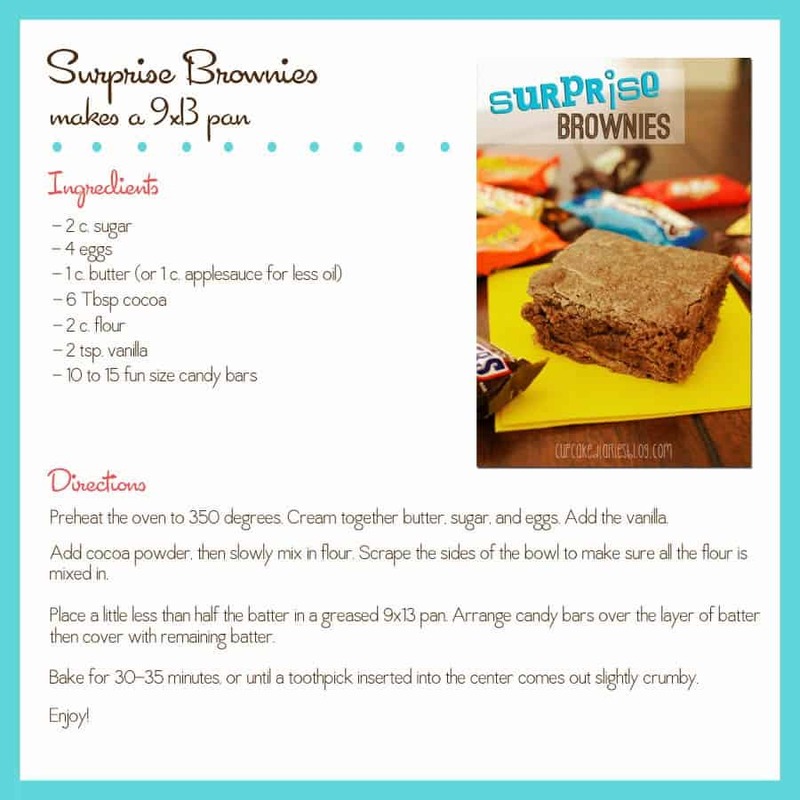 We love making these Surprise Brownies with some of the leftover candy bars from Halloween. 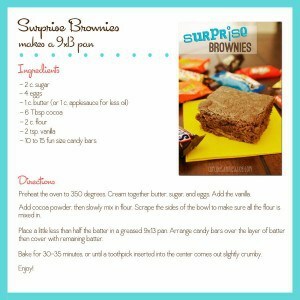 This recipe is so fun to make and even more fun to eat! 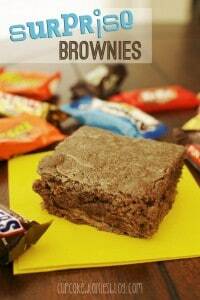 The brownies are full off different fun size candy bars. And the surprise part comes from not knowing which candy bar you’re going to bite into. Sometimes we make a game out of it to see if we can guess what we’re eating. This is an example of what candy bars I used for this particular batch of Surprise Brownies and where I placed them after unwrapped. Prepare the batter and place a little less than half of it in a greased 9×13 pan. 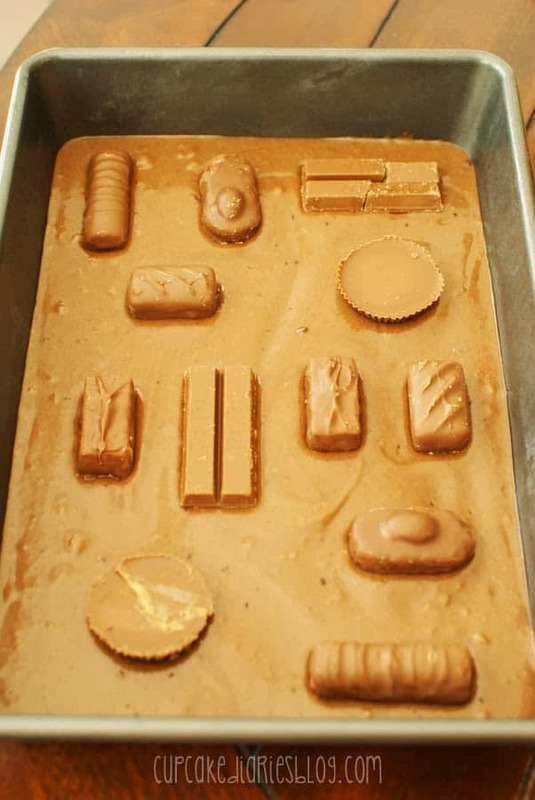 Then place the unwrapped candy bars through the batter and cover with the remaining batter. 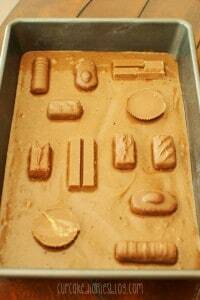 They bake up looking like a regular batch of brownies, but you have no idea which bar is where! So fun and delicious! What candy bar would you want to bite into? 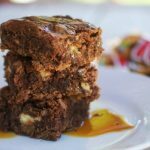 I love the taste of a Snicker bar in a brownie and love when I get that one! Alli, I guess we are the same wavelength today using up old candy bars. 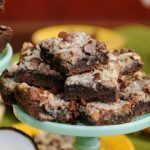 I have never thought of putting whole fun sized bars into the batter instead of chopping them up, but that seems like such a fun idea. 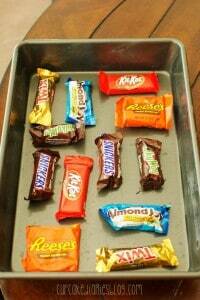 I’m sure its fun to guess what kind of candy bar you got and hope for certain kinds as well! 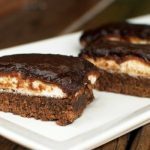 Oh this so good – love how you used up candy bars!